Mountain Safety a. TC 90-6-1, Military Mountaineering b. USMC Battle Skills Training Book c. Mountaineering, The Freedom of the Hills, 6th Edition, The Mountaineers, Seattle WA 1996. Nomenclature and Care of Mountaineering Equipment a. Marine Assault Climber's Kit Care and Maintenance Manual b. MCRP 3-35.2B Military Mountaineering c. TC 90-6-1, Military Mountaineering d. Mountaineering, The Freedom of the Hills, 6th Edition, The Mountaineers, Seattle WA 1996. 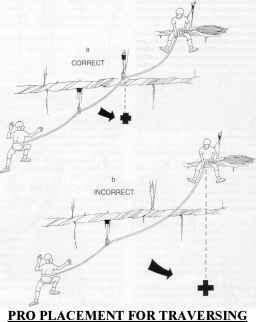 Rope Management a. MCRP 3-35.2B Military Mountaineering b. TC 90-6-1, Military Mountaineering c. Mountaineering, The Freedom of the Hills, 6th Edition, The Mountaineers, Seattle WA 1996.
f. Padgett, Allen; Smith, Bruce, On Rope-4th Printing, National Speleological Society, 1992.